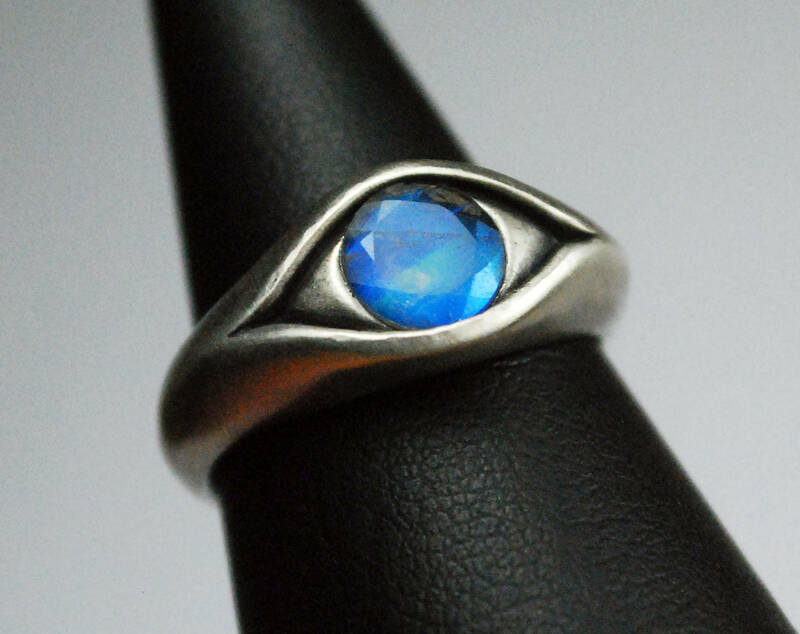 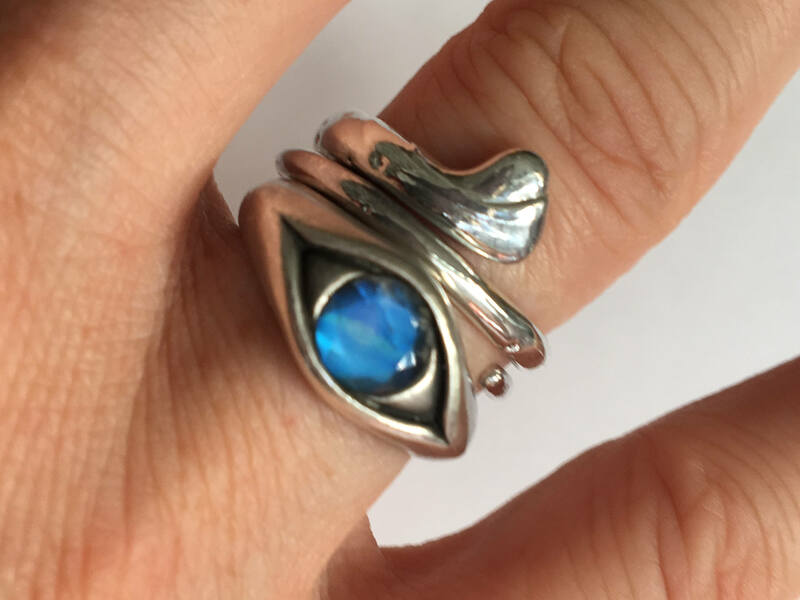 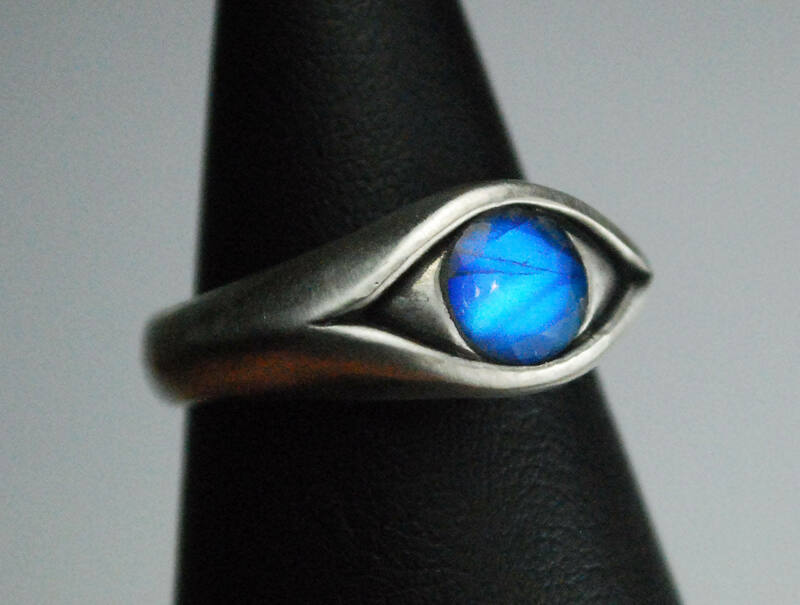 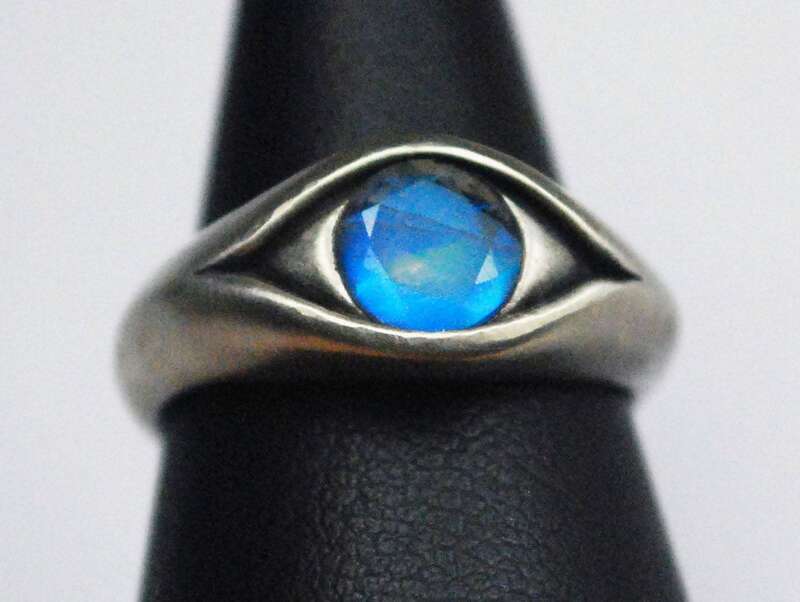 This "Blind Seer" eye ring is solid cast Sterling Silver and set with a magical 6mm faceted moonstone. 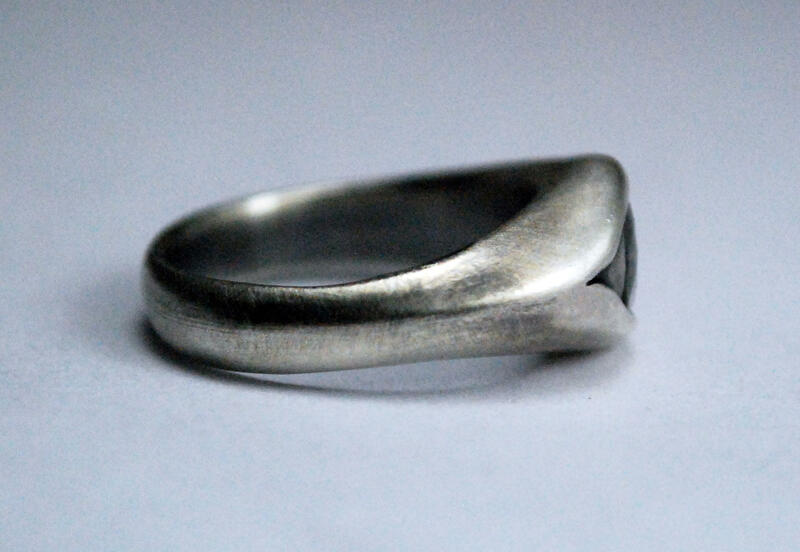 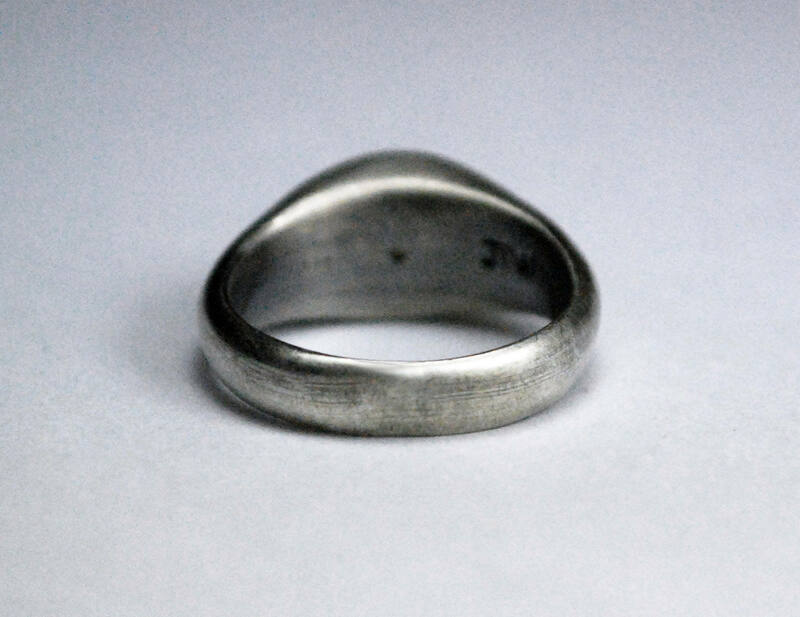 Oxidized and brushed to satiny glow this ring is available in US sizes 5.5-8.5. 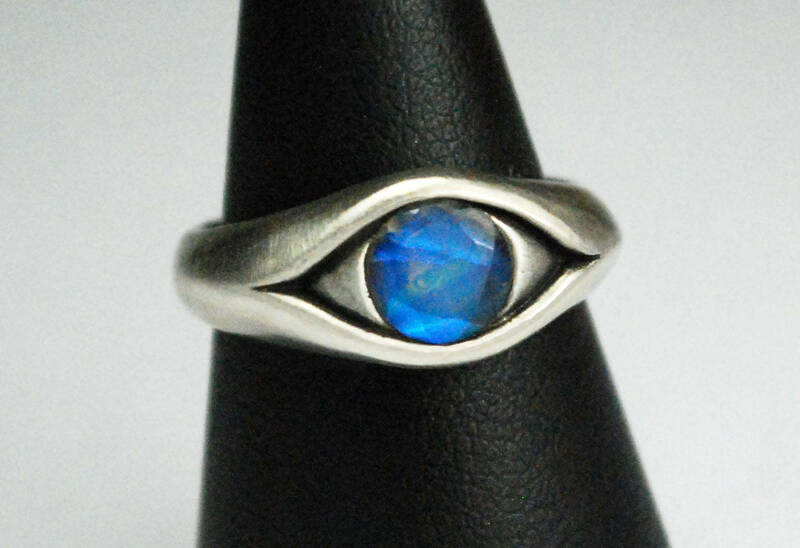 The image of the eye has adorned jewelry for ages in cultures all over the world. 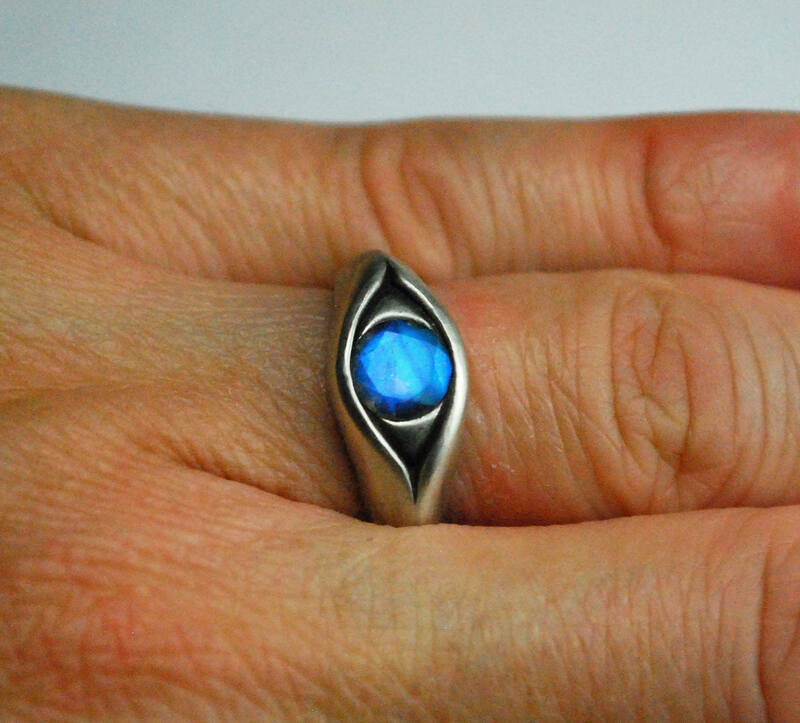 Some consider it a symbol of protection from harm while others believe it to represent the ever present spirit of God or cosmic extrasensory spiritual perception. 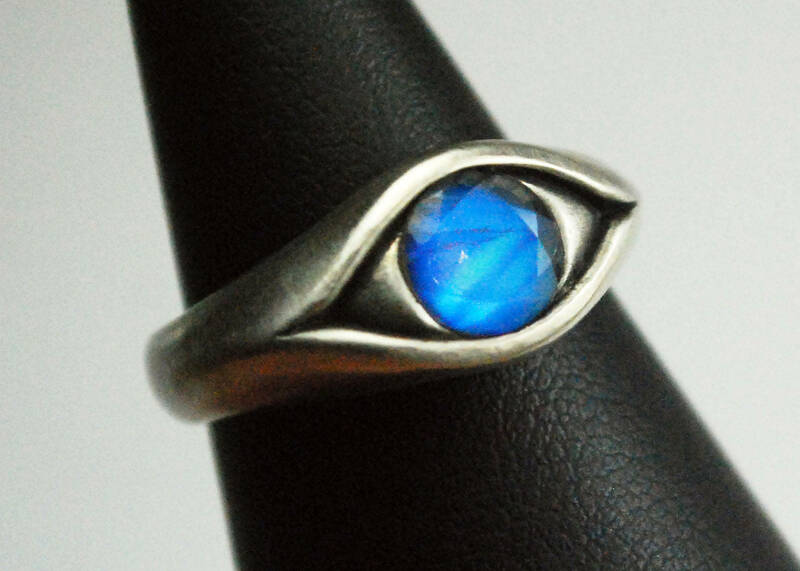 The archetype of the Blind Seer occurs often in ancient mythology.